Be creative and look for grunge basics this summer. 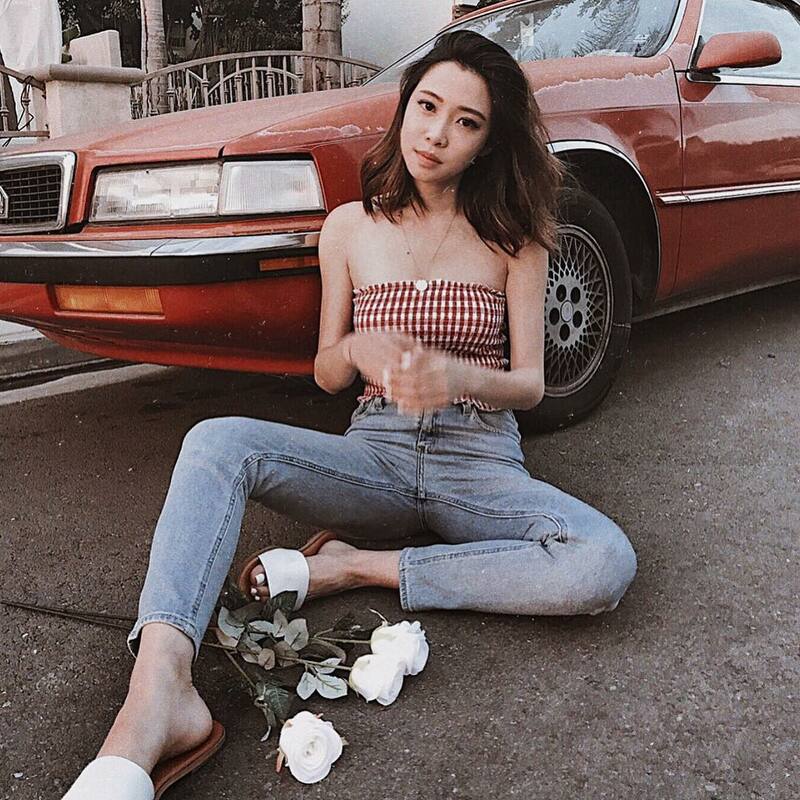 We see a young lady wearing a gingham print bralette teamed with light blue skinny jeans and white slides. The outfit is super simple and easy to wear in real life. What do you love about this look?